Henry VI – History… the interesting bits! He became king before his first birthday, inheriting a vast empire from his military hero father; she was the daughter of a king without power, who made an unexpected marriage at the age of fifteen. Almost completely opposite in character, together they formed an unlikely but complimentary partnership. Henry VI and Margaret of Anjou have become famous as the Lancastrian king and queen who were deposed during the Wars of the Roses but there is so much more to their story. The political narrative of their years together is a tale of twists and turns, encompassing incredible highs, when they came close to fulfilling their desires, and terrible, heart-breaking lows. Personally, their story is an intriguing one that raises may questions. Henry was a complex, misunderstood man, enlightened and unsuited to his times and the pressures of kingship. In the end, overcome by fortune and the sheer determination of their enemies, their alliance collapsed. England simply wasn’t ready for a gentle king like Henry, or woman like Margaret who defied contemporary stereotypes of gender and queenship. History has been a harsh judge to this royal couple. In this discerning dual biography, Amy Licence leads the way in a long-overdue re-evaluation of their characters and contributions during a tumultuous and defining period of British history. 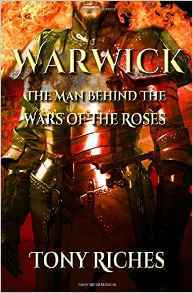 I have to confess that I do tend to read about the Wars of the Roses from the Yorkist side, so it was quite refreshing to read a book that delves into the lives of the leaders of the Lancastrian faction of the era. Henry VI & Margaret of Anjou: A Marriage of Unequals is an illuminating and entertaining read. And it was quite an education. Amy Licence is one of those authors who manages to look at her subjects with a great degree of equanimity. There appears to be no actual bias for or against the objects of her study. This was proven in her biographies of Catherine of Aragon and Anne Boleyn; each book looked at the protagonist with a distinct lack of pre-conceptions and judgement, presenting a clear and unbiased analysis on each queen as a unique individual. And she has managed to achieve the same balance in this book. Amy Licence has turned her talent and passion for history to an analytical assessment of the two figures who led the Lancastrian faction during the Wars of the Roses. 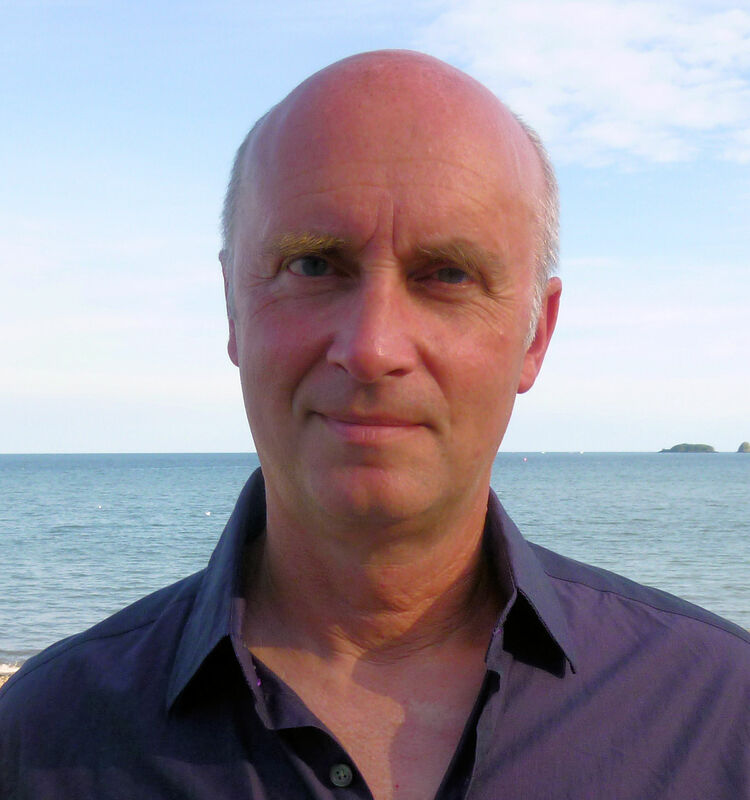 The author assesses each character – Henry VI and his queen Margaret of Anjou – as individuals and as a couple, analysing the challenges they faced, the decisions they made, and how Henry’s mental health affected their abilities to rule the kingdom effectively. The fragile peace of March 1458 did not last. The combatants who had walked hand-in-hand from St Paul’s were soon plotting against each other’s lives, lying in wait in dark corners of the city with swords drawn. Responsibility for the outbreak of hostilities in 1459 has often been placed firmly by historians with Queen Margaret and her band of followers, but it was not this simple. The Pro-Yorkist ‘English Chronicle’ related how she now ‘ruled the roost as she like’ and Benet records that she was the instigator of the Coventry parliament that June, during which York and his allies were declared to be traitors, stripped of their assets and attainted. It was the unavoidable fate of the last Lancastrian family that their immediate successors would judge them harshly. 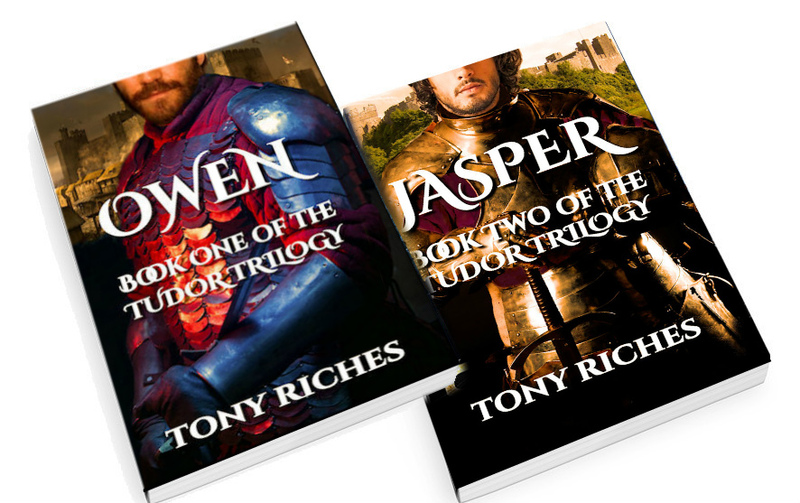 Being on the losing side, on the wrong side of history, they are represented in the surviving chronicles as being deeply flawed; Henry weak and ineffectual and Margaret ambitious and warlike, while their son has been reduced to a blood-thirsty stereotype. Thank goodness, breathed the writers of the York-ruled 1460s and 70s, that the Lancastrians had been prevented from dominating England and establishing their line. It was not until the advent of the Tudors and the reign of Henry’s half-nephew, Henry VII, that a reappraisal of Henry VI began, but Margaret would have to wait significantly longer. As a woman taking an active part in a bloody conflict that threatened the throne of her husband and son, Margaret was a convenient scapegoat of contemporary, and subsequent, chroniclers who did not want to place blame for the next phase of war directly on the shoulders of an annointed king. Henry VI & Margaret of Anjou: A Marriage of Unequals looks not only at the king and queen but also at those who shared their life and times, their son, their allies and those who sought to bring them down. The author looks into their actions and personalities, their presence on the international stage, and how the acted and interracted with the factions at court and the people of England itself. 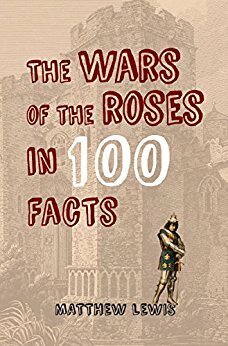 Every reader will come away with a greater understanding of the conflict which dominated England for over thirty years, now known as the Wars of the Roses, and of Henry’s and Margaret’s roles in the causes and course of the war. Amy Licence’s unique and individual writing style is both easy and entertaining. It flows so well that it feels more like you’re reading a novel than a factual historical text. However, the impeccable research and intuitive analysis means that this book is accessible to both the casual reader, amateur historian and expert, alike. Ms Licence does not go easy on her subjects and is not afraid to say when they got things wrong. However, she is also fair and points out when history has been harsh and unforgiven, both on the couple – both together and as individuals – their friends and their enemies. On the whole, this was a thoroughly enjoyable read, which focused on the less popular Lancastrian side of the argument and, as a a result, fills a void in the study of the era. If you want a greater understanding of the effects on history of the marriage of Henry and Margaret, of Henry’s illness, and of Margaret’s attempts to control her own life and the destinies of her husband and son, this is the perfect book. Henry VI & Margaret of Anjou: A Marriage of Unequals is an engaging and entertaining book which will add depth to any history library and is a must-read tome for anyone fascinated by the Wars of the Roses. I highly recommend it. Amy Licence is an historian of women’s lives in the medieval and early modern period, from Queens to commoners. Her particular interest lies in the late fifteenth and early sixteenth century, in gender relations, Queenship and identity, rites of passage, pilgrimage, female orthodoxy and rebellion, superstition, magic, fertility and childbirth. She is also interested in Modernism, specifically Woolf and the Bloomsbury Group, Picasso and Post-Impressionism. Amy has written for The Guardian, The TLS, The New Statesman, BBC History, The English Review, The Huffington Post, The London Magazine and other places. She has been interviewed regularly for BBC radio, including Woman’s Hour, and made her TV debut in “The Real White Queen and her Rivals” documentary, for BBC2, in 2013. She also writes historical and literary fiction and has been shortlisted twice for the Asham Award. Born sometime around 1382 Anne of Gloucester was the daughter of Thomas of Woodstock, 1st Duke of Gloucester, and Eleanor de Bohun. Anne’s parentage was impeccable. Her father was the youngest son of the late king Edward III and his queen Philippa of Hainault, making Anne first cousins with the 2 subsequent kings, Richard II and Henry IV. Along with Henry IV’s wife, Mary de Bohun, Anne’s mother was co-heiress of the earls of Hereford. Anne’s childhood would have been marred by the political conflicts of Richard II’s reign. By the late 1380s her father had set himself up in opposition to the king’s tyrannical rule and his reliance on personal favourites. As a leader of the Lords Appellant he was responsible for the arrest of Richard’s favourites and the curbing of the king’s powers. Anne was probably born at Pleshey Castle and it was also the scene of her first wedding. In June 1391, aged only 8 or 9, Anne was married to Thomas Stafford, 3rd Earl of Stafford, who was about 15 years her senior. Thomas died in 1392, before the marriage could be consummated. Even before Thomas Stafford’s death, it seems, provision had already been made for Anne to marry one of his younger brothers. The brothers, William and Edmund, were wards of Anne’s father. The year after the elder boy William, died in 1395 (aged about 19), Anne was married to Edmund, now 5th Earl of Stafford. 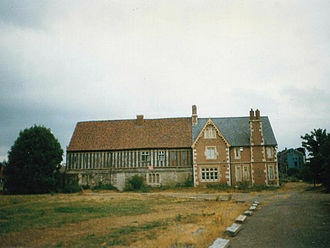 In the year following her marriage, Anne was to suffer further tragedy when her father was personally arrested by the king, whilst recovering from illness at the family’s home of Pleshey Castle, Essex. Thomas was transported to imprisonment in Calais to await trial, under the care of the earl of Nottingham, from where his death was reported in September of the same year. A later inquiry established that Thomas Duke of Gloucester had been murdered, most likely on the night of 8th September, smothered under a mattress. The Duke was declared a traitor and his lands and property were forfeited to the crown. Anne’s only brother, Humphrey, was made a ward of King Richard II and was with the king in Ireland 2 years later, when Henry Bolingbroke invaded England and claimed the crown as Henry IV. The new king ordered Humphrey’s return to England, but he died on the voyage home in August 1399, aged just 18. Anne’s life was hit by 2 further losses in close succession. 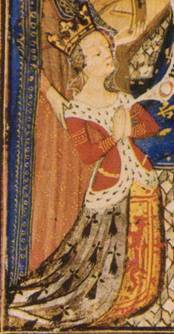 Her mother, Eleanor de Bohun died on 3rd October 1399. The Chronicler, Walsingham, said she died of a broken heart following the deaths of her husband and only son. Anne’s unmarried sister, Joan, died in August 1400. With her only remaining sibling, Isabel, taking the veil at the Minoresses in London on her 16th birthday in April 1402, Anne became one of the greatest heiresses in the kingdom. From 1399 she was recognised as Countess of Buckingham, Hereford and Northampton and was made a Lady of the Garter in 1405. In these same years Anne gave birth to 2 daughters and a son. Of her daughters Philippa died young and Anne would marry consecutively her cousins Edmund Mortimer, earl of March and John Holland, 3rd Duke of Exeter. Anne’s only son by Edmund Stafford, Humphrey, was born in 1402 and would go on to become the Duke of Buckingham. Loyal to King Henry VI at the outbreak of the Wars of the Roses, he would be killed at the Battle of Northampton in 1460. 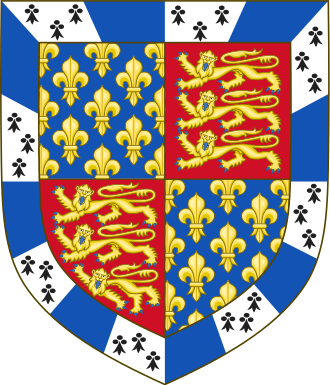 Humphrey’s son, Henry, would be husband to Henry VII’s mother, Margaret Beaufort. On 21st July 1403 Anne was made a widow for the second time, when Edmund was killed fighting for the king at the Battle of Shrewsbury. Still only in her early 20s Anne was left with 2 young children and a dower income of £1500 a year. However, with her dower properties stretched across the strategically important Welsh Marches Anne’s remarriage was of great interest to Henry IV. Of immediate concern was the security of those dower properties, giving Henry IV’s ongoing conflict with Owain Glyn Dwr and the Welsh. Sir William Bourchier, Count of Eu, was dispatched to help protect Anne and her properties from any Welsh incursions. And it was with this same knight that Anne, taking her future into her own hands, contracted a secret marriage some time before 20th November 1405. The king was displeased with the clandestine marriage and the couple were fined ‘great sums’. However, Bourchier it seems was highly charismatic, a capable soldier and valued administrator, all factors which, when added to his proven loyalty to the Lancastrian king, helped to ensure that the couple was soon forgiven. Sir William Bourchier would continue his impressive career under Henry V; fighting at Agincourt in 1415, after which he was appointed Constable of the Tower of London and took responsibility of the high-profile French prisoners captured in the battle. In letters Anne described with pride ‘the valiant prowess, wisdom and good governance’ her husband . The couple seems to have been genuinely in love and soon had a nursery full of children, with 4 sons and a daughter all born before 1415. Anne promoted the careers of all her children and arranged marriages for them. William and Anne’s eldest son, Henry 1st Earl of Essex was married to Isabel of Cambridge, daughter of Richard of Consibrough. A Yorkist supporter, he fought at the Second battle of St Albans and at Towton, dying in April 1483. Thomas Bourchier, most likely Anne and William’s second son, went to Oxford and then joined the Church. He rose to become Archbishop of Canterbury in 1454 and was made a cardinal in 1467. Although he was Chancellor for a short time, in the reign of Henry VI, Thomas was a loyal supporter of and it was Edward IV himself who wrote to the pope urging for Thomas’s promotion to cardinal. In his position as Archbishop of Canterbury, Thomas crowned both Richard III and Henry VII. He died in 1486 and was buried next to the high altar in Canterbury Cathedral. Of their other sons; William Bourchier became Baron Fitzwarin in right of his wife and Sir John Bourchier who was created Baron Berners following his marriage to Margery Berners and was Constable of Windsor Castle in the 1460s. Anne and William’s only daughter, Eleanor Bourchier, married John de Mowbray, 3rd Duke of Norfolk, and was the mother of another John, the 4th Duke. Although they seem to have been on opposing sides of the political spectrum, Humphrey Stafford remained close to his mother and his Bourchier half-siblings. Anne was widowed for a third and final time when William died at Troyes in 1420. His body was sent back to England for burial at Llanthony Priory in Gloucestershire. Anne had an enduring friendship with the Prior, John Wyche, and corresponded with him in both French and English. Although not yet 40 Anne never remarried. Throughout her marriages – and after – she was personally involved in estate management and her letters demonstrate a sound business acumen. Anne had loyal and talented administrators who helped her fight for her interests. As earl of Buckingham, Anne’s father had revenues of £1,000 a year from the lordships of Oakham (Rutland) and Holderness (Yorkshire). 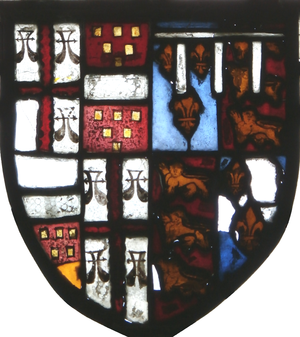 While Oakham was returned to Anne in 1414 she only recovered Holderness in 1437, the year before she died. While Anne was cousin to the king, Henry V, both he and his father had resented the unequal division of the Bohun inheritance in her favour. Henry V was to eventually force a new settlement on the recently widowed countess in 1421, this time heavily weighted for the king’s benefit, leaving Anne just £1200 a year from her mother’s inheritance; and even this often fell into arrears. Anne had shared a love of the church with her mother and was known for her piety and love of learning. She died in October 1438, aged around 55. Her will, written “in the Englyshe tonge for my most profit redyng and vnderstandyng”, remembered her “most trewe and diligent” reatiners (Register of Henry Chichele. Anne of Gloucester, mother to combatants on both sides of the Wars of the Roses and granddaughter of Edward III, was buried beside William at Llanthony Priory where, in 1453, her children set up a perpetual chantry for the welfare of their souls. Sources: The Oxford Companion to British History Edited by John Cannon. ; Brewer’s British Royalty by David Williamson; Britain’s Royal Families, the Complete Genealogy by Alison Weir; Chronicles of the Age of Chivalry Edited by Elizabeth Hallam; The Mammoth Book of British Kings and Queens by Mike Ashley; oxforddnb.com; geni.com; thepeerage.com. Out Now! Tracing the fortunes of the women who had a significant role to play in the momentous events of 1066, Silk and the Sword: the Women of the Norman Conquest will be released in the UK on 15 November 2018 and is available for pre-order on Amazon UK, Amberley Publishing and Book Depository. It is scheduled for release in the US on 1 March 2019 and is available for pre-order from Amazon US. Coming out in Paperback on 15 March: Telling the stories of some of the most incredible women from Medieval history, Heroines of the Medieval World, is now available in hardback in the UK from Amazon UK, in the US from Amazon US and worldwide from Book Depository. It will be released in paperback in the UK from 15 March 2019 and in the US on 1 June 2019. It is available for pre-order from both Amazon UK and Amazon US. Born around 1400 and probably at the castle of Sterborough in Kent, Eleanor Cobham was the daughter of Sir Reginald Cobham of Sterborough and his wife Eleanor, daughter of Sir Thomas Culpeper of Rayal. As is often the case with Medieval women, nothing is known of Eleanor’s early life. She appeared at court in her early 20s, when she was appointed lady-in-waiting to Jacqueline of Hainault, Duchess of Gloucester. Jacqueline had come to England to escape her 2nd husband, the abusive John IV Duke of Brabant. She obtained an annulment of the marriage from the Antipope, Benedict XIII, and married Humphrey, Duke of Gloucester, in 1423. He would spend a large amount of their marriage trying to recover Jacqueline’s lands from the Dukes of Brabant and Burgundy. 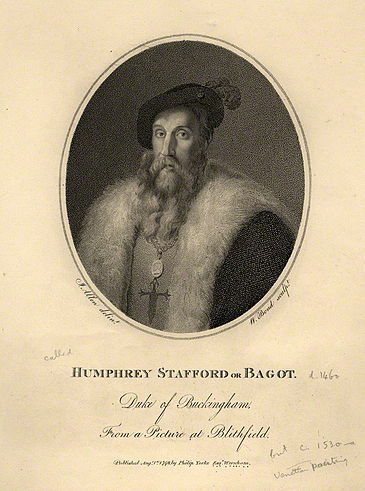 Humphrey was a younger brother of King Henry V and John, Duke of Bedford. He had fought at the Battle of Shrewsbury at the age of 12 years and 9 months and would go on to fight at Agincourt in 1415. On Henry V’s death, Humphrey acted as Regent for his young nephew, Henry VI, whenever his older brother, the Duke of Bedford, was away fighting in France. However, he seems to have been little liked and was never trusted with full Regency powers. In 1428 Pope Martin V refused to recognise the annulment of Jacqueline’s previous marriage to John of Brabant and declared the Gloucester marriage null and void. However, John of Brabant had died in 1426 and so Humphrey and Jacqueline were free to remarry – if they wanted to. In the mean time, Humphrey’s attention had turned to Eleanor of Cobham and he made no attempt to keep Jacqueline by his side. This did not go down too well with the good ladies of London, who petitioned parliament between Christmas 1427 and Easter 1428. According to the chronicler Stow their letters were delivered to Humphrey, the archbishops and the lords “containing matter of rebuke and sharpe reprehension of the Duke of Gloucester, because he would not deliver his wife Jacqueline out of her grievous imprisonment, being then held prisoner by the Duke of Burgundy, suffering her to remaine so unkindly, contrary to the law of God and the honourable estate of matrimony”. Humphrey paid the petition little attention and married Eleanor sometime between 1428 and 1431. It has been suggested that Eleanor was the mother of Humphrey’s 2 illegitimate children – Arthur and Antigone – although this seems unlikely as Humphrey made no attempt to legitimise them following the marriage (as his grandfather John of Gaunt had done with his Beaufort children by Katherine Swynford). Described by Aeneas Sylvius as “a woman distinguished in her form” and “beautiful and marvellously pleasant” by Jean de Waurin, Eleanor and Humphrey had a small but lively court at their residence of La Plesaunce at Greenwich. Humphrey had a lifelong love of learning, which Eleanor most likely shared, and the couple attracted scholars, musicians and poets to their court. On 25th June 1431, as Duchess of Gloucester, Eleanor was admitted to the fraternity of the monastery of St Albans – to which her husband already belonged – and in 1432 she was made a Lady of the Garter. 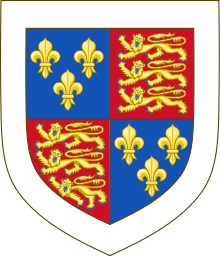 Eleanor’s status rose even higher in 1435, with the death of John Duke of Bedford. Whilst Henry VI was still childless, John had been heir presumptive. He died having had no children and so the position passed to Humphrey, Duke of Gloucester. With her heightened status, Eleanor received sumptuous Christmas gifts from the king; and her father was given custody of the French hostage Charles, Duke of Orleans – a prisoner since Agincourt. But in 1441 came Eleanor’s dramatic downfall. Master Thomas Southwell, a canon of St Stephen’s Chapel at Westminster, and Master Roger Bolyngbroke, a scholar, astronomer and cleric – and alleged necromancer, were arrested for casting the King’s horoscope and predicting his death. Southwell and Bolyngbroke, along with Margery Jourdemayne, known as the Witch of Eye and renowned for selling potions and spells, were accused of making a wax image of the king, ‘the which image they dealt so with, that by their devilish incantations and sorcery they intended to bring out of life, little and little, the king’s person, as they little and little consumed that image’. 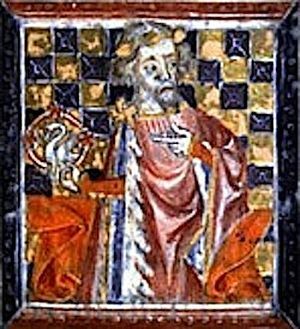 Bolyngbroke implicated Eleanor during questioning, saying she had asked him to cast her horoscope and predict her future; for the wife of the heir to the throne, this was a dangerous practise. Did she have her eye on the throne itself? On hearing of the arrest of her associates Eleanor fled to Sanctuary at Westminster. Of 28 charges against her she admitted to 5. Eleanor denied the treason charges, but confessed to obtaining potions from Jourdemayne in order to help her conceive a child. Awaiting further proceedings, as Eleanor remained in Sanctuary, pleading sickness, she tried to escape by river. Thwarted, she was escorted to Leeds Castle on 11th August and held there for 2 months. Having returned to Westminster Eleanor was examined by an ecclesiastical tribunal on 19th October and on the 23rd she faced Bolyngbroke, Southwell and Jourdemayne who accused her of being the “causer and doer of all these deeds”. 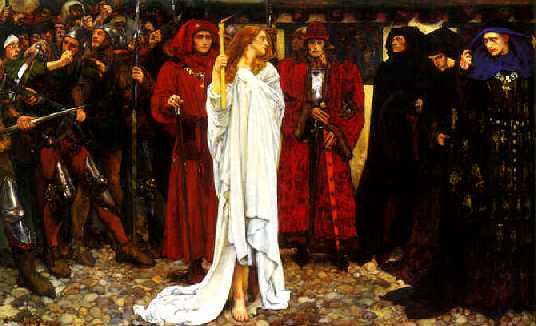 Eleanor was found guilty of sorcery and witchcraft; she was condemned to do public penance and perpetual imprisonment. Of her co-accused; Bolyngbroke was hanged, drawn and quartered, Southwell died in the Tower of London and Margery Jourdemayne was burned at the stake at Smithfield. Eleanor’s own chaplain, Master John Hume, had also been arrested, although he was accused only of knowing of the others’ actions and was later pardoned. On 3 occasions Eleanor was made to do public penance at various churches in London; on the 1st of such, 13th November 1441, bareheaded and dressed in black carrying a wax taper, she walked from Temple Bar to St Paul’s Cathedral, where she offered the wax taper at the high altar. Following 2 further penances, at Christ Church and St Michael’s in Cornhill, Eleanor was sent first to Chester Castle and then to Kenilworth. Her circumstances much reduced, Eleanor was allowed a household of only 12 persons. Eleanor’s witchcraft conviction discredited her husband; Humphrey was marginalised and on 6th November 1441 his marriage was annulled. Humphrey’s enemies, Margaret of Anjou (Henry VI’s queen) and the Earl of Suffolk, convinced the king that his uncle was plotting against him. In February 1447, Humphrey was arrested and confined in Bury St Edmunds. He died a week later, on 23rd February; some claimed it was murder, but the most likely cause of death is stroke. Eleanor was moved to Peel Castle on the Isle of Man, in 1446 and one final time in 1449 when she was transferred to Beaumaris Castle on Anglesey. Eleanor Cobham, one time Duchess of Gloucester and wife to the heir to England’s throne, having risen so high – and fallen so low – died still a prisoner, at Beaumaris Castle on 7th July 1452; she was buried at Beaumaris, at the expense of Sir William Beauchamp, the castle’s constable. Sources: Brewer’s British Royalty by David Williamson; History Today Companion to British History Edited by Juliet Gardiner and Neil Wenborn; The Mammoth Book of British Kings & Queens by Mike Ashley; Britain’s Royal Families, the Complete Genealogy by Alison Weir; The Oxford Companion to British History Edited by John Cannon; The Plantagenets, the Kings who made England by Dan Jones; The Plantagenets, the Kings that Made Britain by Derek Wilson; madameguillotine.co.uk; susanhigginbotham.com; The Medieval Mind. The story of King James I of Scotland and his queen, Joan Beaufort, is one of those rarities in Medieval history; a true love story. He was a King in captivity and she a beautiful young lady of the court. 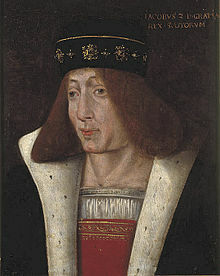 Following the murder of his brother, David, Duke of Rothesay, James was the only surviving son of Robert III of Scotland. He had been on his way to France, for his safety and to continue his education, when his ship was captured by pirates in April 1406. Aged only 11, he was handed over to the English king, Henry IV, and imprisoned in the Tower of London. 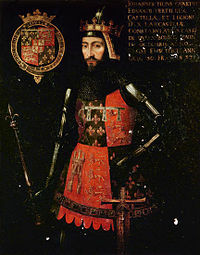 Shortly after his capture, James’s father died and he was proclaimed King of Scots, but the English would not release him. James was closely guarded and regularly moved around, but he was also well-educated while in the custody of the English king and was an accomplished musician and poet. He was held at various castles, including the Tower, Nottingham Castle – where he was allowed to go hunting – and Windsor Castle. 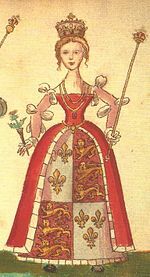 Probably born in the early 1400s, Lady Joan Beaufort was the daughter of John Beaufort, 1st Earl of Somerset and legitimated son of John of Gaunt (himself the 3rd son of Edward III) by his mistress and, later, wife Kathryn Swynford. Joan’s mother was Margaret Holland, granddaughter of Joan of Kent (wife of Edward the Black Prince) from her marriage to Thomas Holland, 1st Earl of Kent. Joan was very well-connected; she was a niece of Henry IV, great-niece of Richard II and great grand-daughter of Edward III. Her uncle, Henry Beaufort, was a cardinal and Chancellor of England. Little seems to be known of her early life, but she was at court in the early 1420s, when James first set eyes on her. James wrote of his love for Joan in his famous poem, The Kingis Quair. According to Nigel Tranter, James was with the court at Windsor, when he saw Joan for the first time while walking her little lap-dog in the garden, below his window. One morning James managed to drop a plucked rose down to Lady Joan, which he saw her wearing the following evening at dinner. Nigel Tranter suggests Lady Joan grieved over James’s imprisonment and even pleaded for him to be released. Their romance grew apace, but was interrupted when James had to accompany Henry V on his French campaign. Henry was hoping that James’s presence would make the Scots, fighting with the French, think twice about engaging with him. However, the strategy had little effect. James’s imprisonment lasted for 18 years. His uncle Robert Stewart, Duke of Albany and Guardian of Scotland in James’s absence, refused to ransom him, in the hope of gaining the throne for himself. He never quite garnered enough support, but managed to keep the Scottish nobles in check. However, when he died in 1420 control passed to his son Murdoch (who had also been imprisoned by the English for 12 years, but was ransomed – instead of James – in 1414) and Scotland fell into a state of virtual anarchy. Henry V had finally decided that it was time for James to return to Scotland when he died. It was left to Henry’s brother, John, Duke of Bedford, as Regent for the infant Henry VI, to agree the terms of James’s freedom. James was charged 60,000 marks in ransom – to cover the costs for his upkeep and education for 18 years, it was claimed. 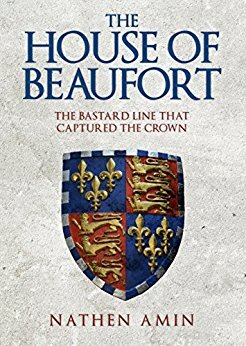 The agreement included a promise for the Scots to keep out of England’s wars with France, and for James to marry the Lady Joan Beaufort. James and Joan were married at the Church of St Mary Overie, Southwark, on 2nd February 1424. James was released on the 28th March and the couple returned to Scotland shortly after. They were crowned at Scone by Henry de Warlaw, Bishop of St Andrews, on 21st May 1424. James and Joan had 8 children together, 7 of whom survived childhood. Their 6 daughters helped to strengthen alliances across Europe. The oldest, Margaret, was born around Christmas 1424. At the age of 11 she was sent to France to marry the Dauphin, Louis – the future Louis XI – narrowly escaping her father’s fate when the English fleet tried to capture her en route. She died in 1445, leaving no children. Isabella married Francis I, Duke of Brittany; she had 2 daughters and died in 1494. 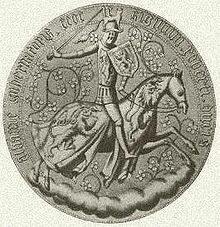 Eleanor married Sigismund, Archduke of Austria, and died in 1480. Joan was born mute and married James Douglas, Earl of Morton and had 4 children – her eldest son, Sir John Douglas, 2nd Earl of Morton, was probably killed at Flodden in 1513. Joan herself died in 1486. Mary was created Countess of Buchan in 1444; she married Wolfert, Count of Grandpre, of the Netherlands, having 2 sons who died young before she died in 1465. A last daughter, Anabella, married, firstly, Louis of Savoy but following their divorce in 1458 she married George Gordon, 2nd Earl of Huntly. They had 2 children together before divorcing on the grounds of consanguinity in 1471. James and Joan finally had twin sons in 1430. Born on 16th October, Alexander died the same year, but James would go on to succeed his father and married Mary of Gueldres in 1449. On his return to Scotland, James immediately set about getting his revenge on the Duke of Albany’s family and adherents; executing some, including Murdoch, Albany’s son and heir. Two other claimants to James’s throne were sent to England, as hostages to the payment of his ransom. James and Joan ruled Scotland for 13 years; James even allowed Joan to take some part in the business of government. His reforms, however, and desire for a firm but just government made enemies of some nobles, including his own chamberlain Sir Robert Stewart, grandson of Walter, Earl of Atholl, who had been James’s heir until the birth of his son. Due to his long imprisonment in the fortresses of England, James tended to avoid castles. 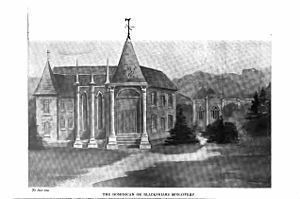 On 21 February 1437 the King was staying at the Blackfriars in Perth when his chamberlain dismissed the guard and, having removed the locking bar to the King’s quarters, let the assassins into the priory. James and Joan were alone with the queen’s ladies when they heard the men approaching. On seeing the locking bar missing, Joan’s lady, Kate Douglas, used her own arm to bar the door. The queen hid the king in an underground vault as Kate’s arm broke and the plotters gained entry. They dragged James from his hiding placed and stabbed him to death; Joan herself was wounded in the scuffle. The plotters, led by Walter, Earl of Atholl, had expected to seize power, but were arrested and executed as the nobles rallied around the new king, 6-year-old James II. James I was buried in Perth and Joan took an active role the government for her son, getting caught in a contest of power between Sir Alexander Livingstone and Sir William Crichton. Her second marriage to Sir James Stewart, the Black Knight of Lorne, led to her arrest by Livingstone, under the pretext that she may abduct the child-king. Joan and her new husband were only released on the condition that she give up her custody of James II and leave the court. They would go on to have 3 sons together before Joan died at Dunbar Castle in 1445. She was buried in the Carthusian Church at Perth. Sources: The Story of Scotland by Nigel Tranter; Brewer’s British royalty by David Williamson; Kings & Queens of Britain by Joyce Marlow; Mammoth Book of British Kings & Queens and British Kings & Queens by Mike Ashley; Oxford Companion to British History Edited by John Cannon; History Today Companion to British History Edited by juliet Gardiner & Neil Wenborn; Britain’s Royal Families by Alison Weir.